Remarking on the benefits of line dance, Mr Saroj said the aerobic line dance is a fitness program of choice for many people as it conditions many parts of the body and accompanied with music, is fun and relaxing to do. The Sunday walking street market on Thalang road is a popular venue frequented by locals and visitors. 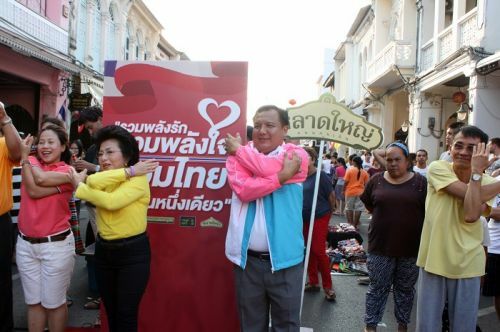 To make it even more lively and fun, the Aerobic Muai Thai Line Dance and other local fitness clubs have been approached to organize a mass fitness dance event which can be taken part by market goers.